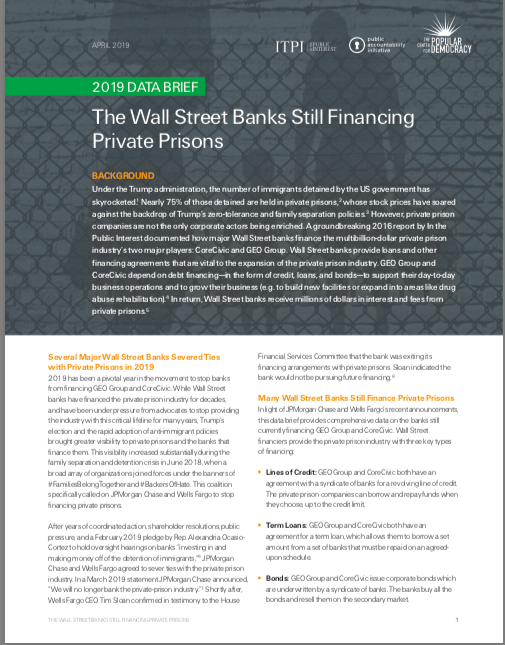 A data brief following up from our 2016 report on the Wall Street banks financing the multibillion-dollar private prison industry’s two major players: CoreCivic and GEO Group. 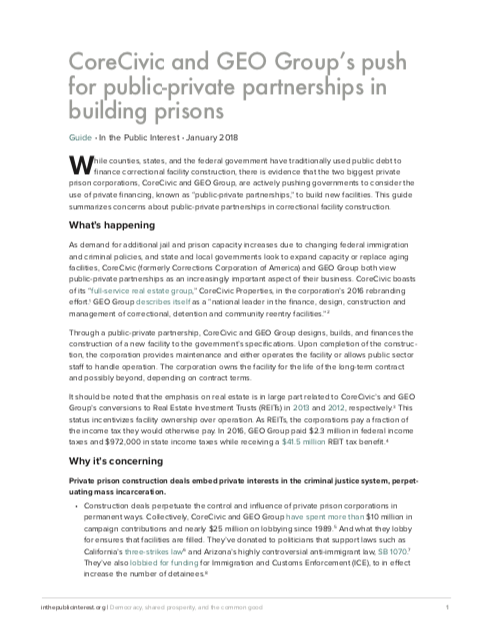 A report documenting how private prison corporations CoreCivic and GEO Group are primed to provide additional jail, prison, and immigration detention space by privately financing new facility construction. 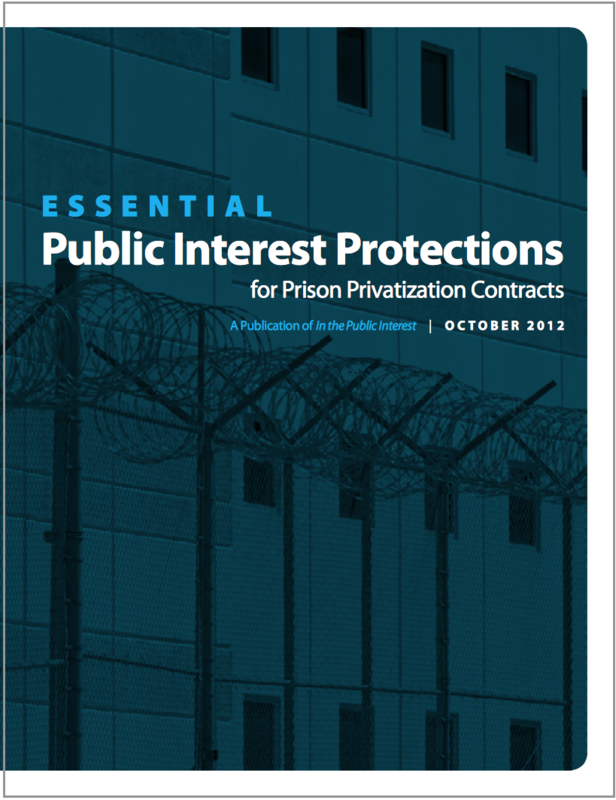 A guide summarizing concerns about a recent push by private prison corporations to sign public-private partnerships with governments for correctional facility construction. 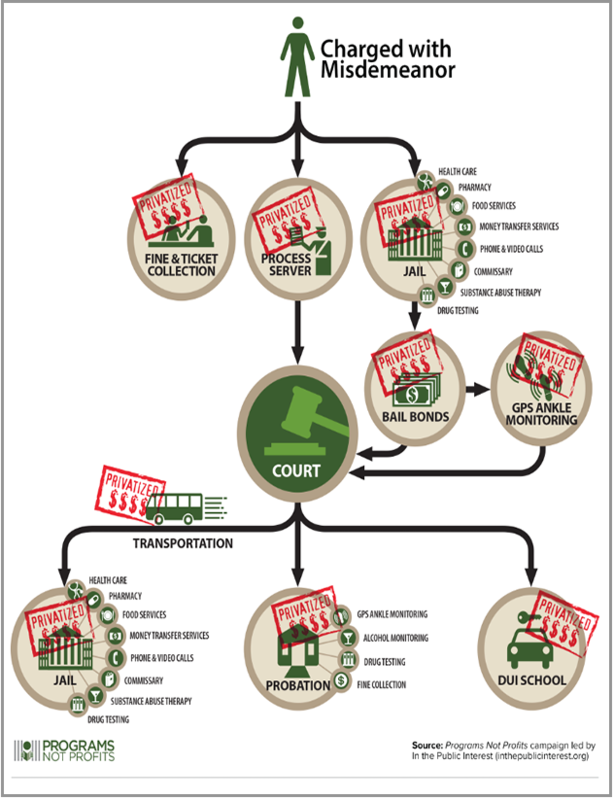 An infographic depicting the possible paths of people charged with different offenses, revealing the various privatized services provided by the corrections industry. 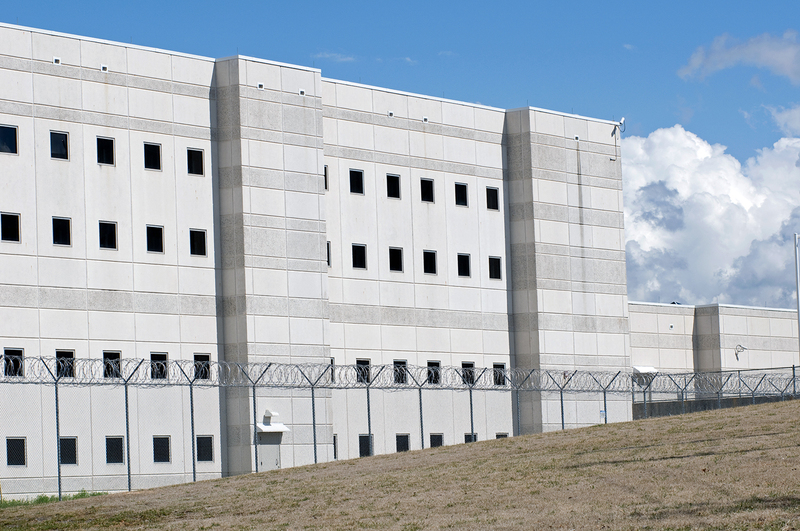 A report describing the use of prison bed occupancy guarantee clauses in private prison and exploring how such clauses undermine criminal justice policy and democratic, accountable government. 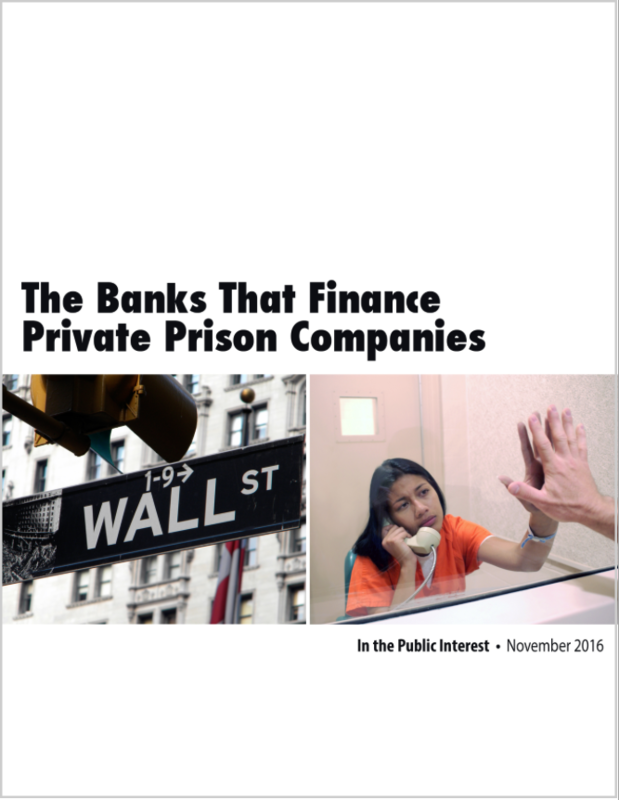 A report revealing how financial institutions, including Wall Street banks, profit from providing financing in the form of credit, bonds, and loans to private prison companies. 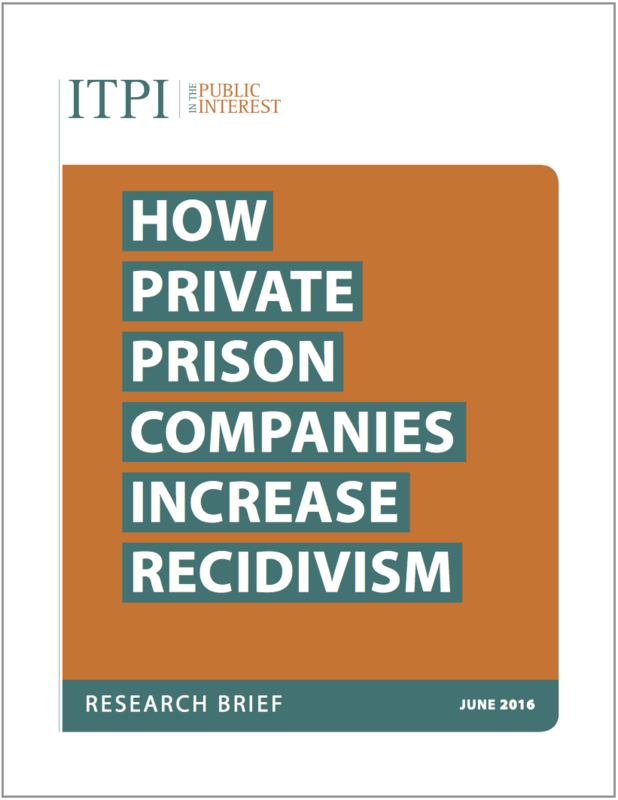 A research brief detailing how private prison companies and prison telephone and video call companies increase the chances of prisoners they incarcerate or provide services to being rearrested. 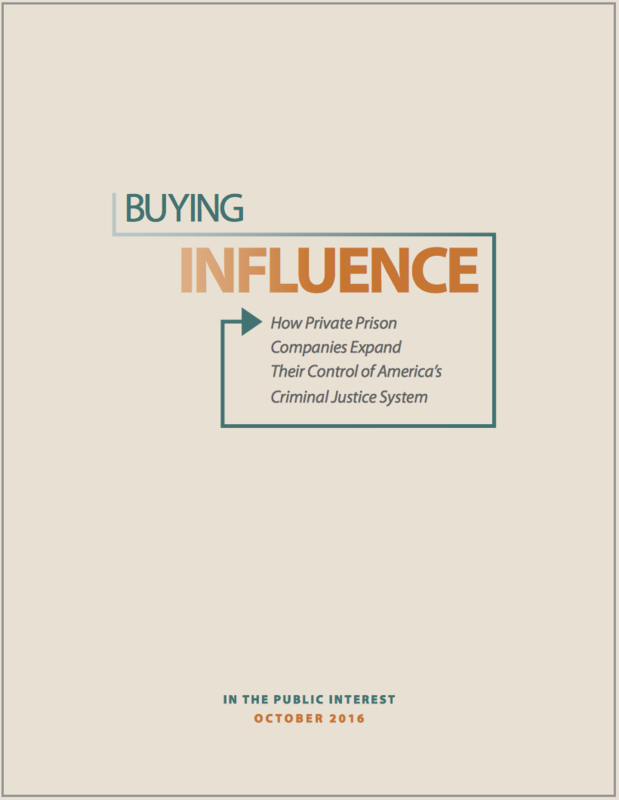 A report outlining the ways private prison companies and corporations that provide corrections services spend millions of dollars each year influencing public officials. 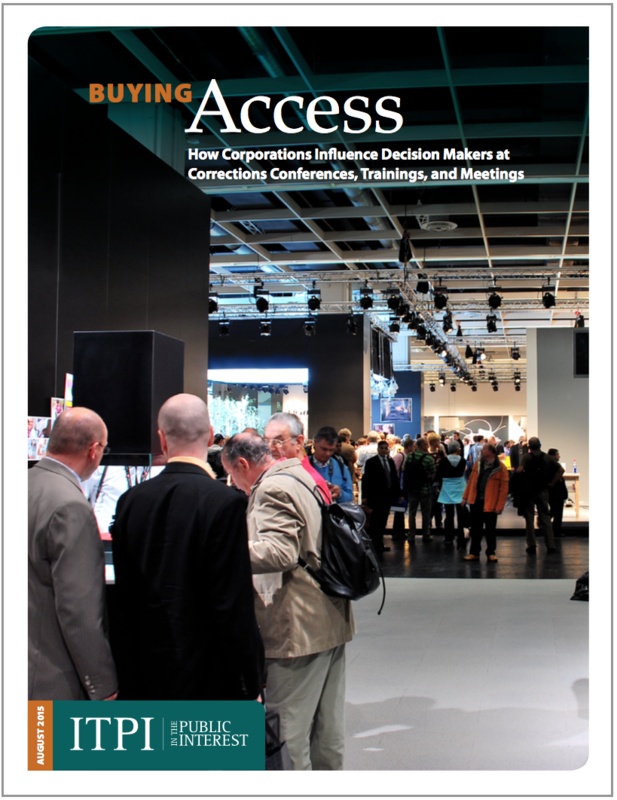 A report detailing how companies leverage professional corrections associations in ways to influence decision makers and find and capitalize on new business opportunities. A list of protections that should be considered when negotiating and designing contracts with private prison companies. We also include best practices that states can implement to better monitor and enforce these contract provisions. 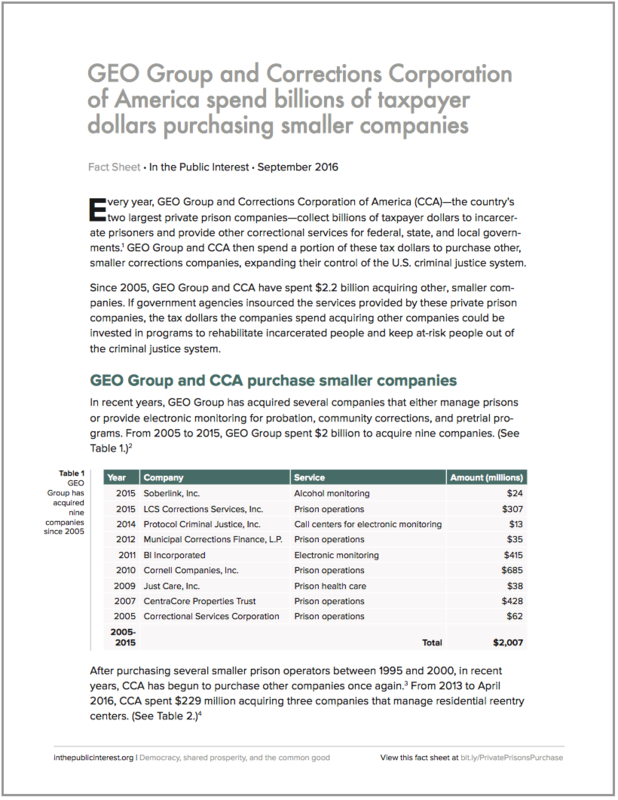 A fact sheet describing how the largest private prison companies have expanded their control of and influence on the U.S. criminal justice system by purchasing smaller companies. 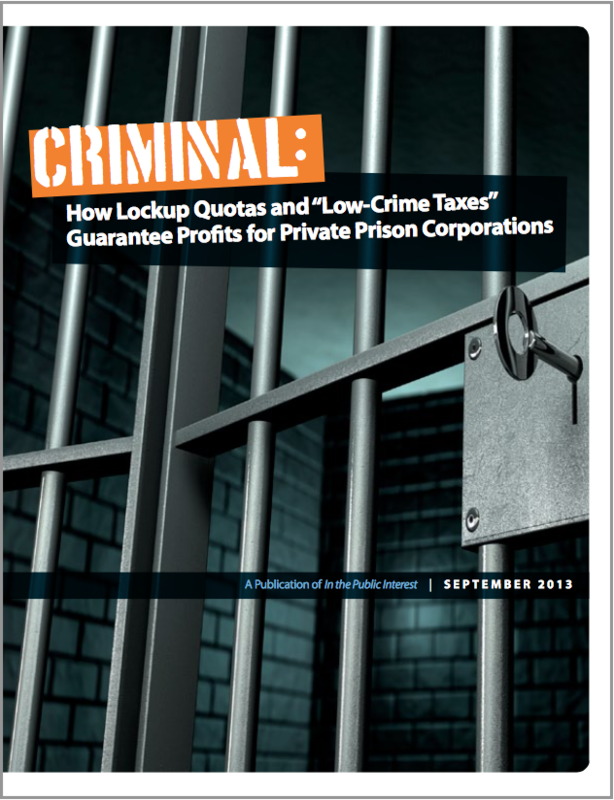 A fact sheet showing how private prison companies embed themselves in America’s criminal justice system and further mass incarceration by marketing empty facilities that they own. 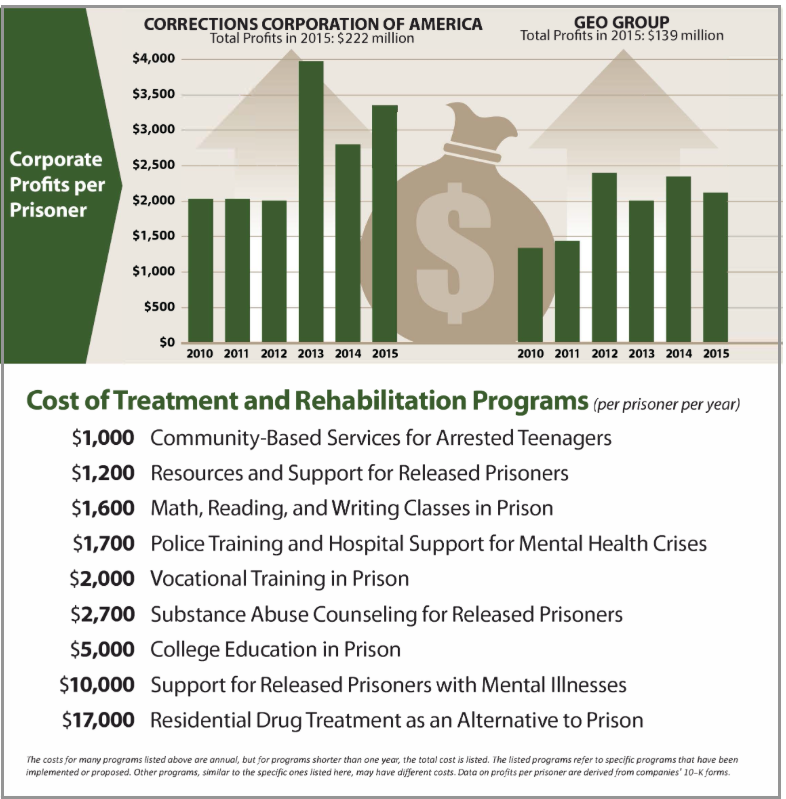 An infographic displaying the profit per prisoner made by CoreCivic and GEO Group in 2015, and rough estimates of the profits the corporations collected from each federal agency in that year. 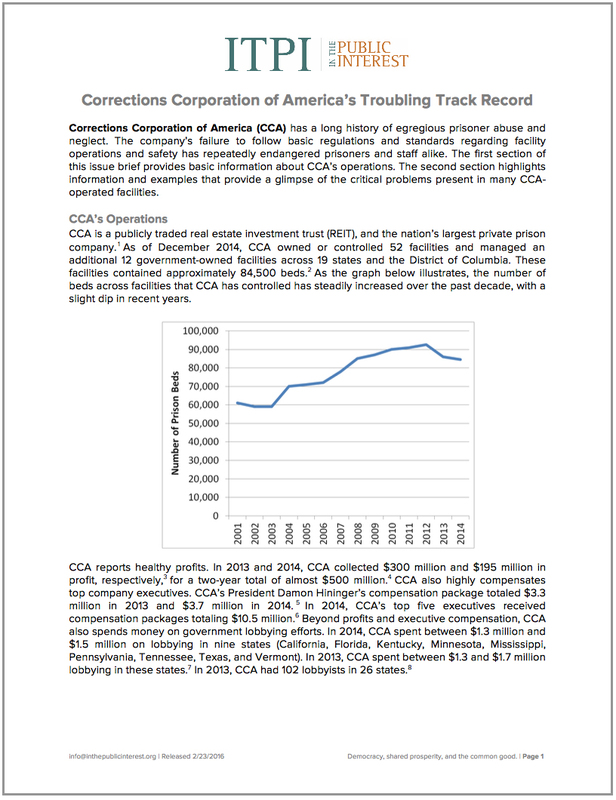 An issue brief providing basic information about CoreCivic (formerly Corrections Corporation of America, or “CCA”) and a glimpse of the critical problems present in many CoreCivic-operated facilities. Looking for our resources on public education, infrastructure, social services, or other areas of government?